As victors of this year’s International, many people now see Team Liquid as the outfit to beat. 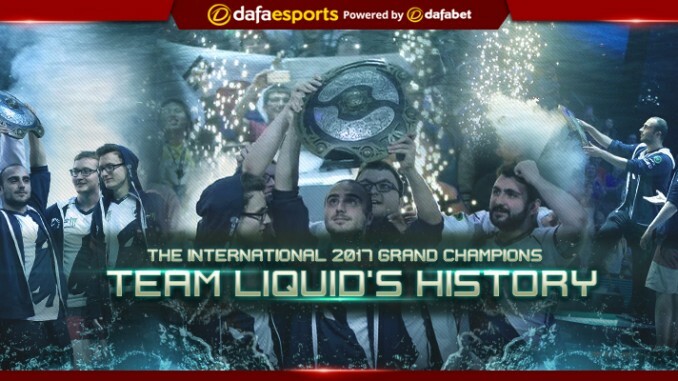 Although this was Liquid’s first TI success, they have an impressive track record over the length of their career and it is this background which paved the way to becoming the top Dota 2 team in the world. This history therefore provides a fascinating story which is worth retelling. A North American team known as FIRE, who represented compLexity Gaming at TI2, contained many of Team Liquid’s original members. After a disappointing performance, the team split up, and three of their players – FLUFFNSTUFF, TC and ixmike88 – found their way into Liquid’s first Dota 2 team, alongside Korok and BuLba. 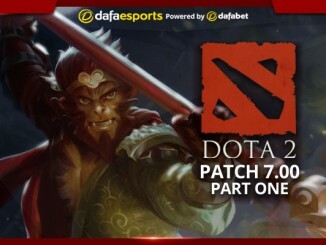 The eSports organisation had previously focused on the Starcraft competitive scene, but decided to try their luck with the newly-emerging genre of Dota 2, announcing this intention in December 2012. 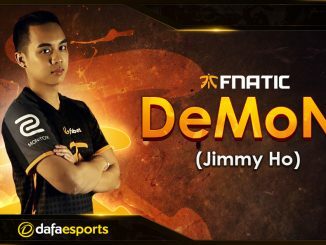 They performed well throughout 2013, earning impressive rankings in tournaments ranging from the Premier League Season 4 (2nd) to the American Dota League Season 1 (1st). They even secured an invitation to TI3 and despite being amongst the lower-ranked sides in the competition, they still managed to place inside the top eight. Following this, they reformed their roster, swapping out ixmike88 and Korok for qojqva and Waytosexy. Initially, this new line-up didn’t perform very well, finishing in the bottom places at the MLG Championship Columbus and DreamHack Winter events due to a few clumsy errors. The winter of 2013 was a disappointing time for Liquid’s Dota team, with even FLUFFNSTUFF quitting the following March in frustration at their poor performances. He was replaced by DeMoN in April 2014. The rest of the year went similarly, with Liquid underperforming in a number of tournaments, and even failing to earn an invitation to TI4. Juggling their roster afterwards helped a little, but the team continued to stumble, faltering in events such as the HyperX D2L Western Challenge (7-8th), although they performed a little better in the GIGABYTE Challenge #4 (3rd-4th). Things began to look up after that though, with the team taking a 2nd place spot in the American Dota League Season 2. They then managed to get into TI4 via the wildcard system. Here they started out strongly, even defeating tournament favourites Newbee. They placed 7th in the Round Robin stage, but were knocked down to 9th-10th place after a bout with LGD Gaming. The subsequent shuffle was gruelling for Liquid though as the team disbanded, with each player moving on to other teams or out of the competitive scene altogether. This signified a hiatus in the Liquid franchise which was to endure for over a year. They may have been down, but they certainly weren’t out as Liquid returned to the scene in late 2015, when they announced their new roster to the world. In hiring the 5Jungz team – consisting of FATA-, JerAx, KuroKy, MATUMBAMAN and MinD_ContRoL – they finally had world class players on their roster. However, they did have a bit of a rough start, failing to qualify for the Frankfurt Major 2015. They quickly recovered though, and went on to place well in The Summit 4 (5-6th) and World Cyber Arena (3rd) in the December, building on their Dota 2 Champions League Season 6 win the month before. With this hot streak now on their record, quite a few people started to take an interest in them. The 2016 Majors were another boon for Liquid. They finished in 2nd place in the Shanghai Major, won EPICENTER and secured another silver at the Manila Major. However, TI6 was another middling performance (7-8th) and this was followed by another harsh shuffle – with FATA- and JerAx leaving the team to be replaced by Miracle- and BuLbA, who returned to the fold. They failed to find much success for a while, but when BuLbA was replaced by GH in early January 2017, the team started to click. Victory at the Dota 2 Asia Championships qualifiers and in StarSeries S3 proved that Liquid were becoming a force to be reckoned with. They earned an invite to the Kiev Major, but soon began to focus on securing a spot at TI7. They managed this with aplomb, finishing 1st in the StarLadder i-League Invitational #2, successfully defending their title at EPICENTER and then winning DreamLeague S7 to become one of the six invited teams to the International. Their performance at the International was, of course, extremely strong. The team worked together well, favouring more aggressive strategies for the most part. Miracle- brought his solid gameplay and innovative character picks to the table. MATUMBAMAN displayed his usual high level of mechanical skill, while MinD_ContRoL used Nature’s Prophet to daunting effect consistently. GH’s perfectly-timed plays and picks and of course KuroKy’s capable support and offensive potential made this team a perfect combination, particularly as the quintet worked together impeccably, executing their plays and strategies with peerless precision. Despite repeatedly stumbling throughout their competitive career, even having to disband the team for over a year, Team Liquid have managed to climb their way to the top. Reforming their roster again and again over the years, it seems their hard work and perseverance has finally been rewarded with their current fearsome line-up, the very same one which carried them to victory in TI7. Although they may not always have been a cut above the rest, they certainly seem to be now.